Growing up in Wyoming I didn’t see a lot of beaches, but we had plenty of sand – and I hated it! Not because of its well-known ability to find its way into any and all available crevices, but because of the effect it had on my motorcycle. 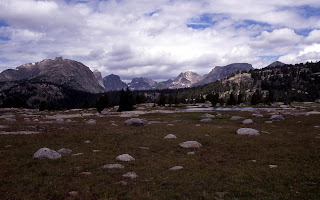 For people who’ve never been blessed by a trip through Wyoming, the most common image they have of the landscape is Yellowstone or Jackson Hole. 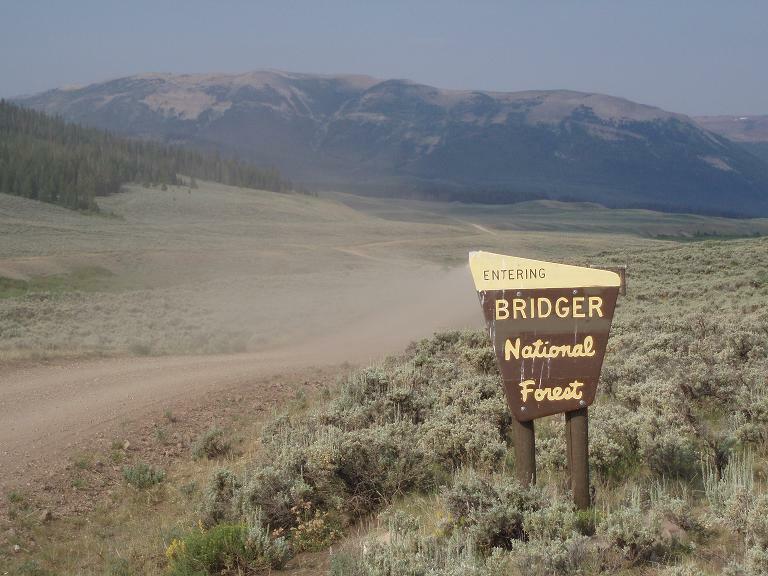 The reality is that a lot of Wyoming is what the Bureau of Land Management likes to call “high desert.” Think shades of tan – dirt, sagebrush, rabbits, antelope, prairie dogs, and sand – interspersed with flashes of color provided by the red flowers of Indian paintbrush. My favorite thing to do out in that high desert was ride my motorcycle. 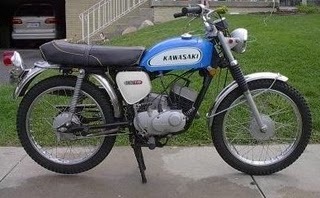 It was a blue Kawasaki designed for an adult to ride on the road or off. I started riding it when I was nine, and I had to lean the small bike at a forty-five degree angle to put one foot on the ground. That didn’t matter – once I got going there was no stopping me. I loved to fly over the prairie, bouncing off sagebrush and catching air off rocks and hills. I never thought about wrecking the bike because I never had. I slowed for cattle guards – metal poles than stretched across the width of the dirt road to keep cows and sheep on their side of the fences – but other than those moments of caution, I was Evel Knievel with blonde hair stuffed under my helmet. I knew as long as that bike was moving I couldn’t fall. Then one day, the bike stopped moving…and I fell. I had the throttle wide open that day. Not being on the road, I wasn’t concerned with the speedometer, I just knew I was going fast! My jeans protected me from the stinging slaps of sagebrush and my worn tennis shoes gripped the pegs, one toe under the lever to shift gears. The flannel shirt I wore over my t-shirt flapped behind me as I flew over the prairie. With no warning the handlebars jerked hard to the left, ripping my right hand away from the throttle. In slow-motion I saw my front wheel spin sideways until it was perpendicular to my gas tank. I felt the weight of my body shift as the forward movement of my bike stopped, and my own momentum propelled me toward my handlebars in a nightmare demonstration of Newton’s first law of motion. Reflexively, I tightened my grip on the handlebar still in my left hand. My body rose in a graceful arc, my legs rising up and over my body as my left arm anchored me to the now-motionless bike. 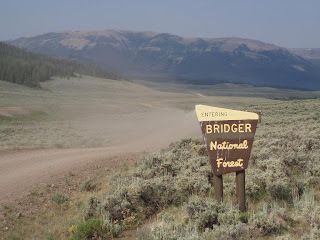 As I reached the point where I was parallel with the ground, my left hand let go and I flew a few feet beyond the bike before landing, stretched full-length on my back, with a bone-rattling thud amidst the sagebrush and rocks. My breath rushed out, and for a long moment I couldn’t remember how to breathe in again. For a frozen piece of time I lay on the ground and stared up at the blue-black sky, waiting for something to hurt. Gradually, my breath came back and so did the feeling in my body. The palm of my right hand stung where it had slapped down on a small cactus. My right hip ached from taking the brunt of the fall when I landed. My left shoulder was throbbing – no surprise since I’d nearly dislocated it. I hurt everywhere. Moving cautiously, I rolled over and looked back to the bike, lying on its side in a clump of broken sagebrush. My first concern was that I’d damaged it; I pushed up to my feet with my good arm and limped back to where it had fallen. I wasn’t looking forward to wrestling the heavy bike out of the sagebrush, but nothing looked broken. I felt betrayed – why had it thrown me? Then I saw the sand - puddled innocently around the front tire like it hadn’t just reached out and yanked my bike out from under me. Minute crystals honed by the endless Wyoming wind into a lethal sand trap, waiting to catch the unwary antelope…or the cocky motorcyclist…and remind them that out there, Mother Nature doesn’t play fair. This is a response to this week's memoir prompt from the Red Dress Club - SAND. I've been to beaches, but whenever I think of sand I can't help but remember the day a little sand trap in Wyoming taught me my first lesson in humility. Comments are always welcome! This is great! I could see you flying through the landscape on your bike. You were a MUCH braver 9-year-old than I was! Thank you! I still ride - but I'm a LOT more careful (read as: paranoid about killing myself), than I was 30 some odd years ago. Love this! I felt like I was riding right along with you. Your description of the crash was great. All of the speed of your ride and writing came to a screeching halt as I watched you fly into the air. What a memory of sand! I hadn't considered that Wyoming was desert like. I laughed a little that after you fell your greater concern was for the bike. Great writing! I could actually see this all in my head as I read it. WOW! Glad you were ok!! My husband just wrecked on his motorcycle last week. Lots of roadrash, mangled hand. He hit an oil spot on the road and was drug about 15 feet by his bike. Ah yes, been there. Your description put me right with you. I never have thought of Wyoming as being deserty. Motorcycles look like fun, but I'm too much of a wimp to try one. Glad you didn't get hurt! @No.7 - Thank you! Hubby laughed until he cried watching me write it - I had my eyes closed and was sort of acting it out to remember how I'd ended up where I did on the ground. @Pretty - I'm glad your husband's accident wasn't more serious! Riding on the road is SO different that off-road: the antelope aren't usually out to get you! @MarieElizabeth - Thank you! I just left out the bugs in my teeth, hair, eyelashes. Bugs run a close second to sand for mood-killers on a bike. WOW you were a brave wee thing!! That description is perfect. I flew over the handlebars of a motorcycle once. It felt like that. So brave, so scary! You were so adventurous!! I adore that you added the photo of the scene and seriously? I could so picture your moment. I love that you called it humility. What a daredevil you were (are?)! I still remember the one time I went over the handlebars on my bike, and that was more than 35 years ago. I guess you don't forget that feeling! Your descriptions were so vivid - I felt like I was out there with you! @SoberJulie - No life is complete without a trip to God's back yard! LOL We moved to North Carolina a little over ten years ago, and there are still days when I look up and think, "Where are the mountains...and why is the sky so low?" @Mommy Lisa - Thank you! @Galit Breen - The picture made me a little homesick! @Cheryl - Thank you! Less a daredevil now. Kids have a way of underlining your sense of mortality! But I still love being on a bike and feeling that sense of freedom you can't get in a car. @Mandyland - Oh yes, my mom swears she spent half my childhood holding her breath!